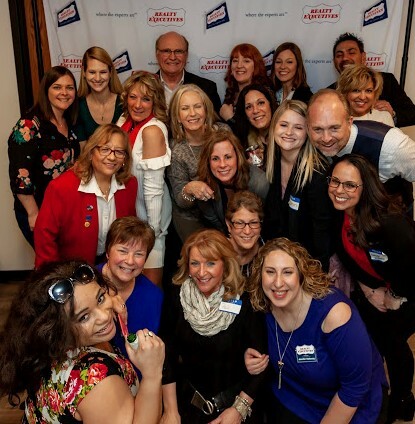 Realty Executives Premiere of Wheaton, IL recently celebrated its 25th anniversary as a prominent brokerage in the northern Illinois community. Throughout years of dedication and trust, Realty Executives Premiere has continually proven its strength and commitment. At the helm of this brokerage is Pat Callan, Broker/Owner since Realty Executives Premiere opened its doors in 1993. Callan has been instrumental in the success and growth of Realty Executives Premiere throughout the greater Chicago area. Since the opening, the brokerage has grown over 1000 percent, starting from two to now over 30 real estate professionals with locations in Wheaton and Aurora. Callan has served the real estate community through local and national organizations, and together with Office Manager Jenny Holloway, Callan continues to lead and live by the company’s “people-first” precept, putting the needs of Realty Executives agents – and in-turn Chicagoland area homebuyers and sellers – first. “Realty Executives Premiere is a prime example of the strength and loyalty posed by the Realty Executives brand. We celebrate the company’s longevity, tremendous per-agent productivity, industry leadership and plans for the years ahead,” said Vice President, Alysia Heun. “It’s been a pleasure serving the buyers, sellers and real estate investors of west suburban Chicagoland for the last 25 years. We have tried to maintain the highest standards while assisting our clients in reaching their goals. The high productivity of our real estate professionals proves that we have been able to achieve that standard. We have been here in the same location in Wheaton for the past 25 years and we intend to go for 25 more,” Callan said. Realty Executives Premiere is committed to its agents and brokers to be the best professionals in the real estate industry and are excited to grow their presence and continue their dedication to being a top brokerage in Chicagoland. Realty Executives International congratulates this exceptional team and all of their success.